(4/2019) I'll be joining the Stanford NLP Group as a computer science PhD student in September 2019. (4/2019) I was fortunate to receive a NSF Graduate Research Fellowship in natural language processing. (2/2019) Two papers accepted to NAACL 2019, preprints below! 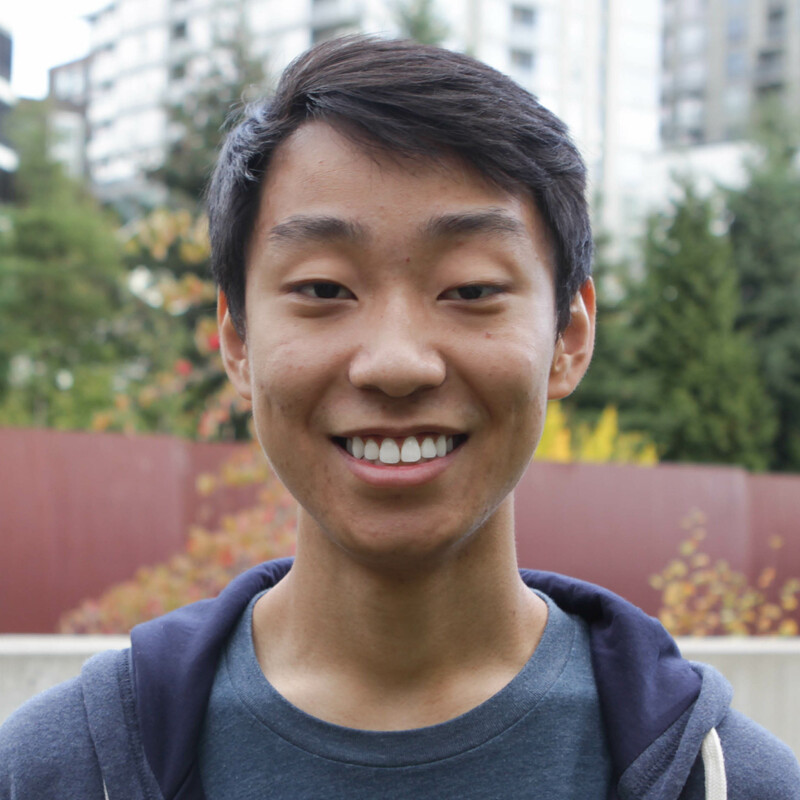 I'm an undergraduate at the University of Washington, where I'm studying computer science and linguistics. I work on research with Noah Smith as a member of Noah's ARK. I'm also a research intern at the Allen Institute for Artificial Intelligence (AI2), where I work part-time with the excellent AllenNLP team. My research interests are in natural language processing and machine learning. Outside of work I enjoy contributing to open source. Beyond computer-related things, I spend a lot of time bouldering and try to make time for hiking and camping as well. Thanks to the support of my research mentors, I was fortunate to begin working on research early in my undergraduate career. I’m happy to help ambitious undergraduate students interested in NLP or machine learning (especially those at UW) get started with research---please get in touch! Linguistic Knowledge and Transferability of Contextual Representations. Nelson F. Liu, Matt Gardner, Yonatan Belinkov, Matthew E. Peters, and Noah A. Smith. To appear at NAACL 2019 , June 2019. Inoculation by Fine-Tuning: A Method for Analyzing Challenge Datasets. Nelson F. Liu, Roy Schwartz, and Noah A. Smith. To appear at NAACL 2019 , June 2019. Several datasets have recently been constructed to expose brittleness in models trained on existing benchmarks. While model performance on these challenge datasets is significantly lower compared to the original benchmark, it is unclear what particular weaknesses they reveal. For example, a challenge dataset may be difficult because it targets phenomena that current models cannot capture, or because it simply exploits blind spots in a model's specific training set. We introduce inoculation by fine-tuning, a new analysis method for studying challenge datasets by exposing models (the metaphorical patient) to a small amount of data from the challenge dataset (a metaphorical pathogen) and assessing how well they can adapt. We apply our method to analyze the NLI "stress tests" (Naik et al., 2018) and the Adversarial SQuAD dataset (Jia and Liang, 2017). We show that after slight exposure, some of these datasets are no longer challenging, while others remain difficult. Our results indicate that failures on challenge datasets may lead to very different conclusions about models, training datasets, and the challenge datasets themselves. LSTMs Exploit Linguistic Attributes of Data. Nelson F. Liu, Omer Levy, Roy Schwartz, Chenhao Tan, and Noah A. Smith. In ACL 2018 Workshop on Representation Learning for NLP , July 2018. (Best Paper Award). AllenNLP: A Deep Semantic Natural Language Processing Platform. Matt Gardner, Joel Grus, Mark Neumann, Oyvind Tafjord, Pradeep Dasigi, Nelson F. Liu, Matthew Peters, Michael Schmitz, and Luke Zettlemoyer. In ACL 2018 Workshop for Natural Language Processing Open Source Software , July 2018. This paper describes AllenNLP, a platform for research on deep learning methods in natural language understanding. AllenNLP is designed to support researchers who want to build novel language understanding models quickly and easily. It is built on top of PyTorch, allowing for dynamic computation graphs, and provides (1) a flexible data API that handles intelligent batching and padding, (2) high-level abstractions for common operations in working with text, and (3) a modular and extensible experiment framework that makes doing good science easy. It also includes reference implementations of high quality approaches for both core semantic problems (e.g. semantic role labeling (Palmer et al., 2005)) and language understanding applications (e.g. machine comprehension (Rajpurkar et al., 2016)). AllenNLP is an ongoing open-source effort maintained by engineers and researchers at the Allen Institute for Artificial Intelligence. Discovering Phonesthemes with Sparse Regularization. Nelson F. Liu, Gina-Anne Levow, and Noah A. Smith. In NAACL 2018 Workshop on Subword and Character Level Models in NLP , June 2018. We introduce a simple method for extracting non-arbitrary form-meaning representations from a collection of semantic vectors. We treat the problem as one of feature selection for a model trained to predict word vectors from subword features. We apply this model to the problem of automatically discovering phonesthemes, which are submorphemic sound clusters that appear in words with similar meaning. Many of our model-predicted phonesthemes overlap with those proposed in the linguistics literature, and we validate our approach with human judgments. ELISA System Description for LoReHLT 2017. Leon Cheung, Thamme Gowda, Ulf Hermjakob, Nelson Liu, Jonathan May, Alexandra Mayn, Nima Pourdamghani, Michael Pust, Kevin Knight, Nikolaos Malandrakis, Pavlos Papadopoulos, Anil Ramakrishna, Karan Singla, Victor Martinez, Colin Vaz, Dogan Can, Shrikanth Narayanan, Kenton Murray, Toan Nguyen, David Chiang, Xiaoman Pan, Boliang Zhang, Ying Lin, Di Lu, Lifu Huang, Kevin Blissett, Tongtao Zhang, Heng Ji, Ondrej Glembek, Murali Karthick Baskar, Santosh Kesiraju, Lukas Burget, Karel Benes, Igor Szoke, Karel Vesely, Jan Honza Cernocky, Camille Goudeseune, Mark Hasegawa Johnson, Leda Sari, Wenda Chen, and Angli Liu. In NIST LoReHLT 2017, September 2017. Crowdsourcing Multiple Choice Science Questions. Johannes Welbl, Nelson F. Liu, and Matt Gardner. In EMNLP 2017 Workshop on Noisy User-generated Text , September 2017. We present a novel method for obtaining high-quality, domain-targeted multiple choice questions from crowd workers. Generating these questions can be difficult without trading away originality, relevance or diversity in the answer options. Our method addresses these problems by leveraging a large corpus of domain-specific text and a small set of existing questions. It produces model suggestions for document selection and answer distractor choice which aid the human question generation process. With this method we have assembled SciQ, a dataset of 13.7K multiple choice science exam questions (Dataset available at data.allenai.org/sciq/). We demonstrate that the method produces in-domain questions by providing an analysis of this new dataset and by showing that humans cannot distinguish the crowdsourced questions from original questions. When using SciQ as additional training data to existing questions, we observe accuracy improvements on real science exams. During summer 2018, I did another research internship at the Allen Institute for Artificial Intelligence (AI2), where I worked with Matt Gardner and Noah Smith. During summer 2017, I was a research intern in the USC/Information Sciences Institute natural language group. I worked with Kevin Knight and Jonathan May on low-resource neural machine translation and language-independent translation of out-of-vocabulary words. During winter 2017, I was a research intern at the Allen Institute for Artificial Intelligence (AI2), where I worked with Matt Gardner on transfer learning for neural reading comprehension models. During the summer of 2016, I participated in the Google Summer of Code, and I worked with the scikit-learn project. I love working on open source, and my code is on Github. I make a blog post once in a blue moon, but I'm working on increasing the frequency.